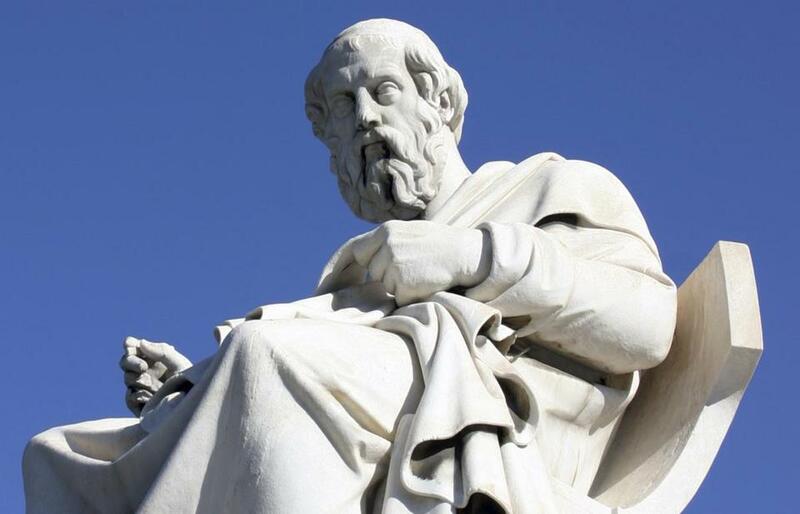 Statue of the ancient Greek philosopher and teacher Socrates. The National Association of Scholars, which celebrated its 25th anniversary with a conference in New York last week, was born in response to the 1988 controversy over Stanford University’s Western Culture requirement. Students upset by the focus on “dead white males” demanded that the freshman course be replaced with one more inclusive toward women, minorities, and non-Western cultures; in a widely reported incident, protesters led by the Rev. Jesse Jackson chanted, “Hey hey, ho ho, Western Culture’s got to go!” After the university acceded to these demands, a group of mostly conservative intellectuals rallied to defend the West. Fittingly, the final panel of the New York conference was devoted to the Western tradition and its fortunes. Critics dismiss the association as a right-wing enclave of grumpy old (white) men threatened by change. It is true that the group’s membership does skew older, white, male, and Republican. But that does not negate the importance of its pro-Western message — above all, for the very groups supposedly oppressed by a Western-oriented education. The association’s founder, political scientist Stephen Balch, noted at the conference that college courses on Western culture are “in precipitous decline.” This is partly due to the notion of a global world, even though this global world is largely based on Western influence. Moreover, the vision of Western history as the progress of liberty, reason, and human achievement is frowned upon as outmoded and chauvinistic — at a time when progress has improved human life in once-unimaginable ways. No less ironically, Balch said, “the visceral rejection of the West in many intellectual quarters is often motivated by ideals that are themselves deeply Western in origin”: women’s liberation, racial equality, opposition to class privilege. This theme was echoed by Ibn Warraq, the pseudonymous Pakistan-raised author who champions the reformation and secularization of the Islamic world: The West is attacked as uniquely oppressive even though it has gained unprecedented rights and freedoms for women, for gays and lesbians, and for individuals in general. This is an exasperating paradox I have observed many times. In academia or in Internet discussions, feminists who pounce on the most trivial sexist offense in European or American society turn timid when it comes to true patriarchal horrors elsewhere: God forbid they should commit cultural imperialism, or cast the West as the savior of women from nonwhite men. Both Balch and Warraq noted that self-criticism, too, is a Western tradition. Enabled by our freedom, it is a strength that has allowed us to correct once-rampant injustices. But, as Warraq said, “self-criticism can turn into self-loathing.” The strength becomes a weakness when idealistic young people decide that their culture is so rotten it is not worth defending or preserving. Partly, this stems from a wrongheaded approach to multicultural education that stresses the positive aspects of other civilizations and the negative aspects of our own. As an example, Warraq pointed to the politically correct taboos surrounding slavery in African and Arab societies. Appreciating the West’s achievements does not mean ignoring its faults; it means putting them in perspective. The National Association of Scholars could perform its mission better with less partisanship. Conference discussions would have benefited from acknowledgment that the Western legacy is also under attack from forces on the right that see secular culture as decadent and intellectual pursuits as “elitist.” It would have been helpful, as well, to raise the question of how serious scholarship on race- and gender-related subjects can be done. Despite those limitations, the defense of the West is relevant and needed. To have more balance, more liberals need to embrace it as well.